Lightweight Easy B Ladies Sandal. Sizes 3-8 No Half Sizes. Lightweight and comfortable ladies sandal from DB with single Velcro fastening and T-bar elastication for the perfect fit. 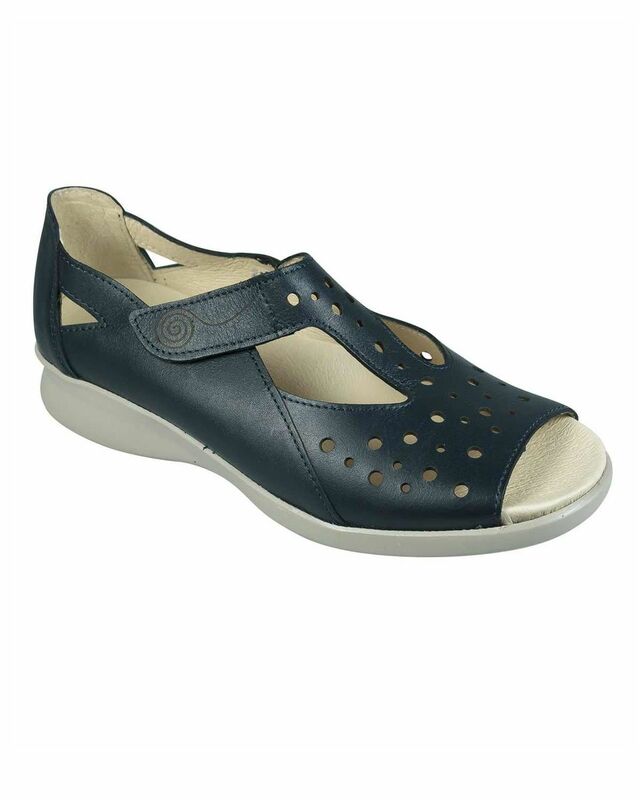 Removable leather inner provides sizes EE-4E in one shoe with man-made sole. Navy, Pewter.